A member of an affiliated union pays a political levy automatically, unless they opt out. Some unions ask members if they wish to pay levy and for some of this money to go to the Labour party. Members of affiliated unions will be asked to give positive consent if they wish some of the political levy to go to Labour. They will also be asked if they want to become an affiliated Labour supporter. If they opt in to this they will be attached to a constituency party, with the right to vote in leadership contests. Labour will have a direct relationship with affiliated supporters for the first time, without unions acting as an intermediary. In addition registered supporters – not drawn from unions – will be able to sign up with same rights as affiliated supporters. Half of the votes go to the unions and half to constituency parties. The strength of a union's vote is dependent on the number of its political levy payers. Due to mergers, Unite, Unison and GMB represent three-quarters of the union section of the conference vote, making it very difficult for them to be defeated. There will be the same 50-50 division of votes between unions and constituencies. But the strength of individual union votes will be determined by the number of people who pay an affiliation fee. 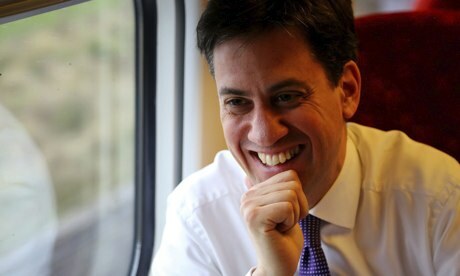 Ed Miliband says there may be other changes in future on the balance of power. The Labour leader is selected through an electoral college in which MPs and MEPs have a third of the vote, the unions a third and party members a third. To get on the ballot paper, a candidate needs to be nominated by at least 12.5% of Labour MPs. In the union section of the electoral college, representing a third of the college, union political levy payers vote individually, on ballots requiring them to tick a box saying they support Labour. Fewer than one in 10 of those eligible to vote do so. Union executives issue the ballot papers, often advising members how to vote. Candidates that fail to win the recommendation of the executive do not have the same access to union membership lists as those who did. Nomination threshold will rise to 20% of MPs. Individual voting by party members, affiliated supporters and registered supporters. No one will have more than one vote and no vote will be worth more than another. Ballot papers distributed by party, with equality of access for candidates to electorate. Since reforms introduced by John Smith in 1994, MPs are currently only selected by full party members. That will not change, but there will be stricter codes of conduct and spending limits. Candidates chosen via an electoral college of 50% party members and 50% union members. Individual voting in closed primary by party members, registered supporters and affiliated supporters on same basis as national leadership election.